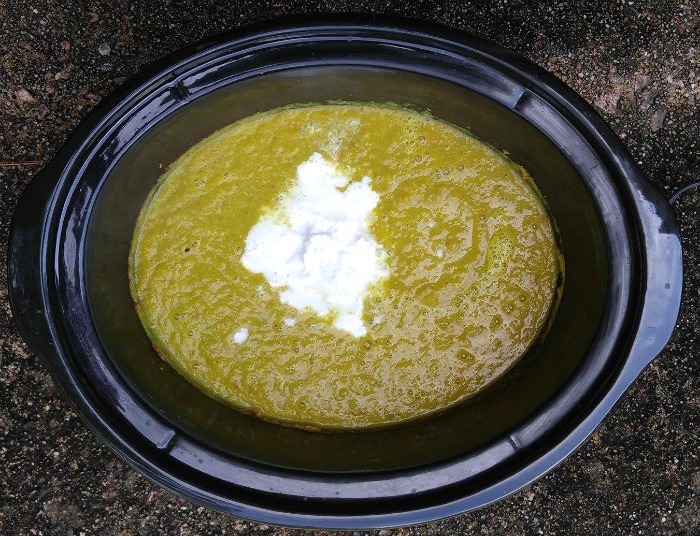 One of my favorite soup recipes is a creamy broccoli soup. 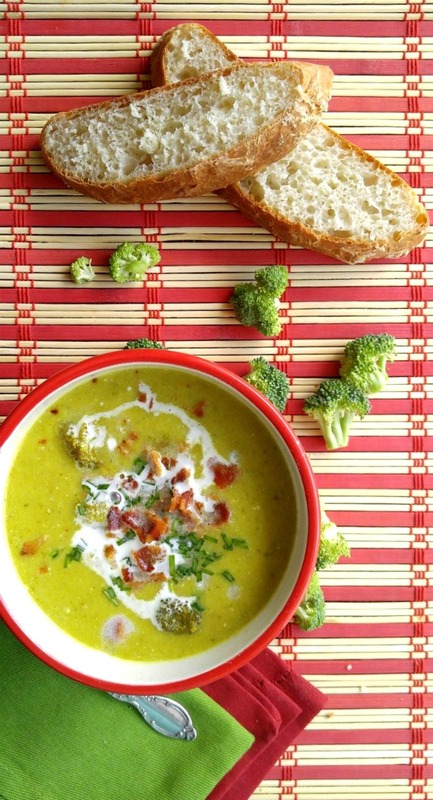 This curried crock pot broccoli soup is thick and creamy with a hint of coconut milk is not too spicy and has a lovely mix of spices that give the soup a savory taste. It is a great addition to your collection of slow cooker recipes. I love making soups! It gives me a chance to use ALL of the vegetables, including parts that would normally end up on the compost pile as kitchen scraps. 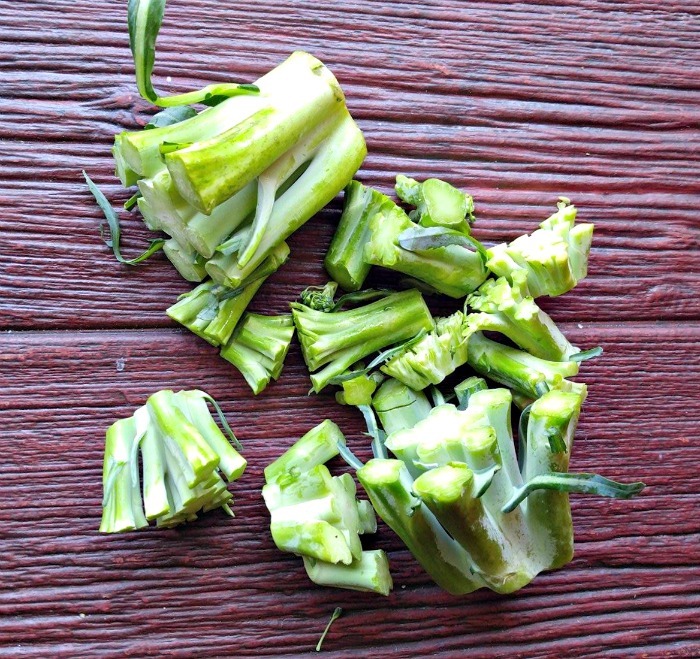 In the case today, I’m using not only the tender florets of the broccoli, but also the chopped stalks as well. They are full of flavor but usually get discarded. I will just peel them and add them to my florets to make the soup flavorful and cheaper to prepare. Using the slow cooker to prepare soups usually gives great results. Is this not the case for you though? If your crock pot soups are not living up to your expectations, you may be making one of these slow cooker mistakes. 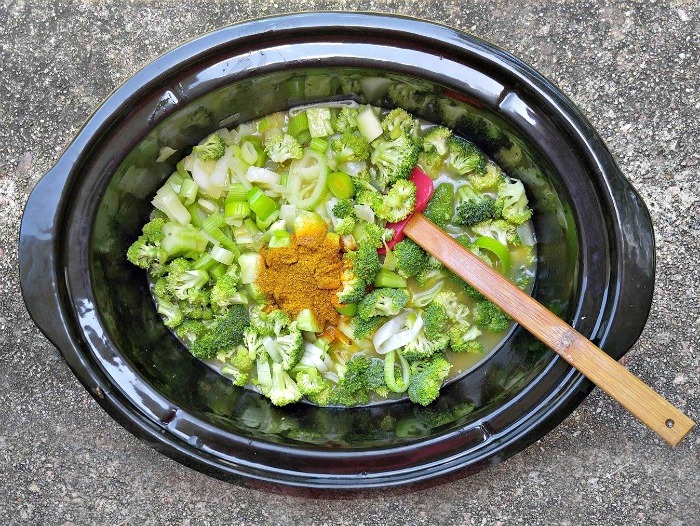 Let’s make this curried crock pot broccoli soup. 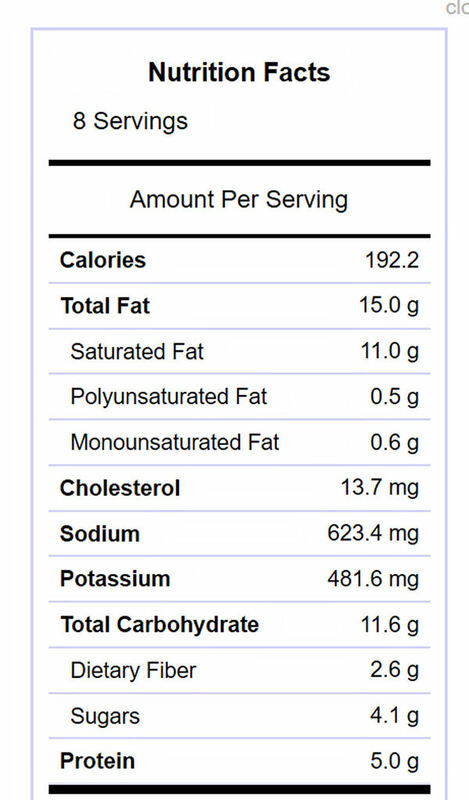 This soup is dairy free, so I won’t be using milk, cream or cheese in it. To make up for the creaminess, I’ll substitute coconut milk and chopped leeks, onions and garlic will round out the flavor profile to add a lovely taste. 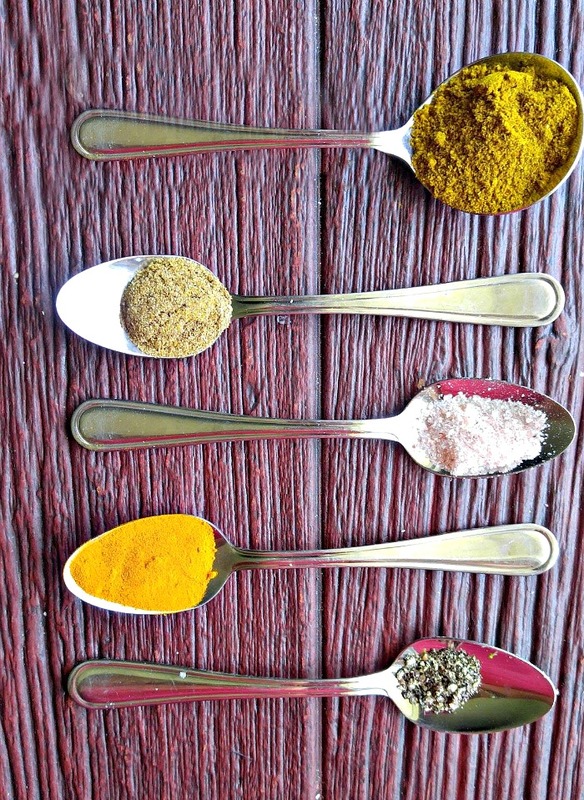 My spices will give a bit of heat but are mainly those used for more savory curries. It is summer, after all, I want a light meal, but not an overly spicy one. I chose curry powder, turmeric, coriander, sea salt and cracked black pepper. The onions, leeks and garlic are cooked first in clarified butter. This type of butter is super easy to make and removes the milk solids, making it as close to dairy free as you can get while still giving me the taste of sweet cream butter. It also gives the butter a higher smoke point and is perfect for frying onions and garlic so they won’t burn. See how to make clarified butter here. If you wish, you could substitute olive oil or coconut oil. 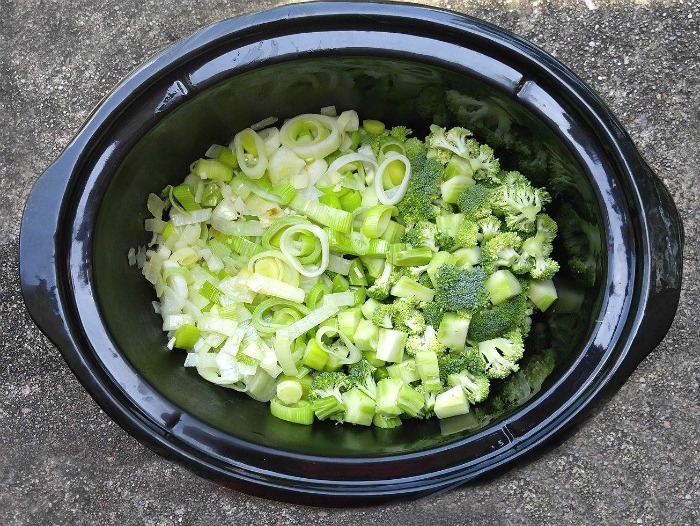 The onion mixture gets combined with the broccoli florets in the crock pot. Look at all the color that goes into this soup! Next, in go the spices and chicken stock. Everything gets a good stir and then it cooks on low for 4 hours. (or high for 2 hours) The kitchen smells amazing part way through the cooking time but it doesn’t heat up like cooking on a stove top does. Don’t you love crock pots? About 1/2 hour before serving time, remove some of the florets to keep some thicker bits for the soup and use an immersion blender to blend the rest into a smooth consistency. Add back the reserved broccoli and stir in the coconut milk. Cook another 1/2 hour or so until the soup is steaming hot. Time to taste the curried crock pot broccoli soup. This soup has the most amazing flavor, It is thick and creamy and full of the fresh flavor that comes from the healthy veggies. The spices give the soup a lovely savory taste that has an international flair but keeps the heat factor low. 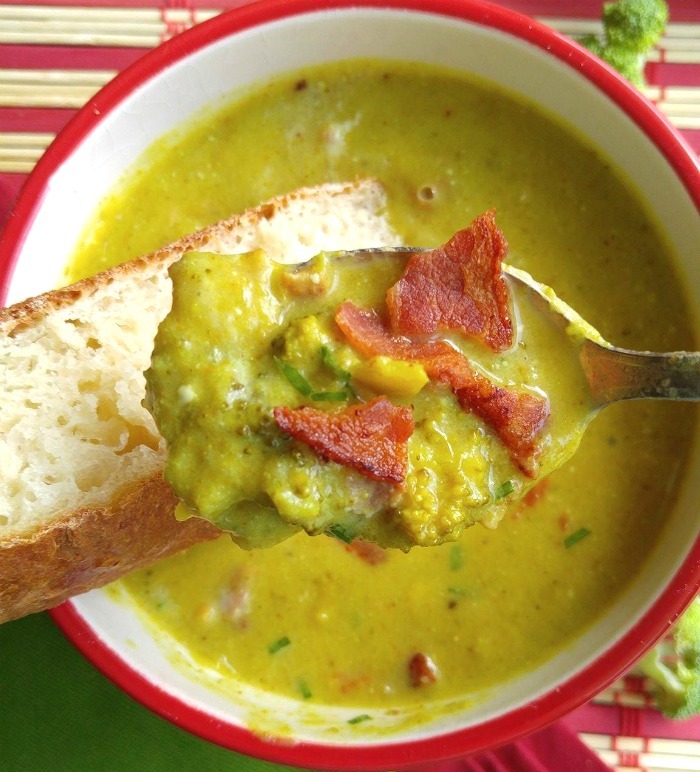 My husband LOVES this curried crock pot broccoli soup. We serve it with gluten free bread for a satisfying and not too heavy meal. And because it is cooked in the crock pot, the appliance does most of the work of making this soup! Not only does this soup taste amazing, it is gluten free, dairy free, Paleo and Whole30 compliant. (Although no gluten free bread if you are following Whole30. I love clean eating food that still has a wonderful taste and this soup has that in spades. The recipe makes 8 hearty servings with just under 200 calories per serving. Nice garnishes are crumbled bacon, coconut cream, fresh chives or freshly grated nutmeg. 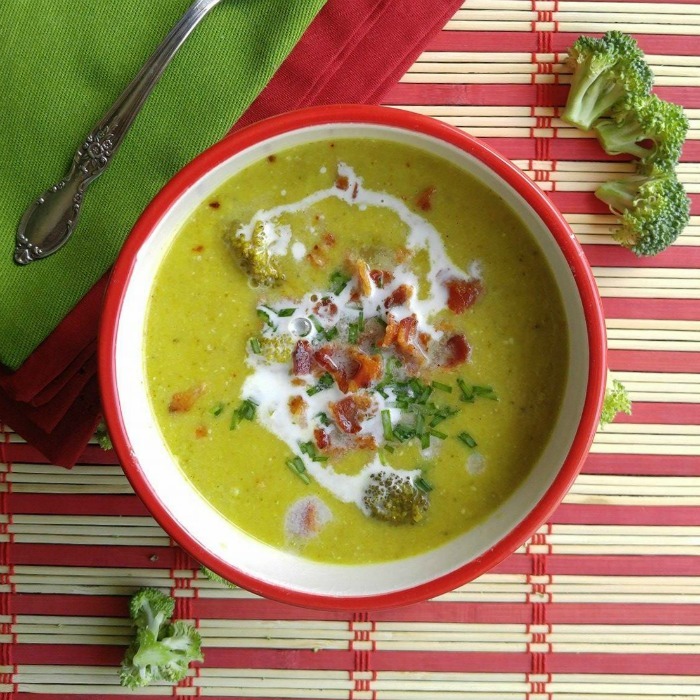 This curried crock pot broccoli soup is thick and creamy with a hint of coconut milk is not too spicy and has a lovely mix of spices that give the soup a savory taste. 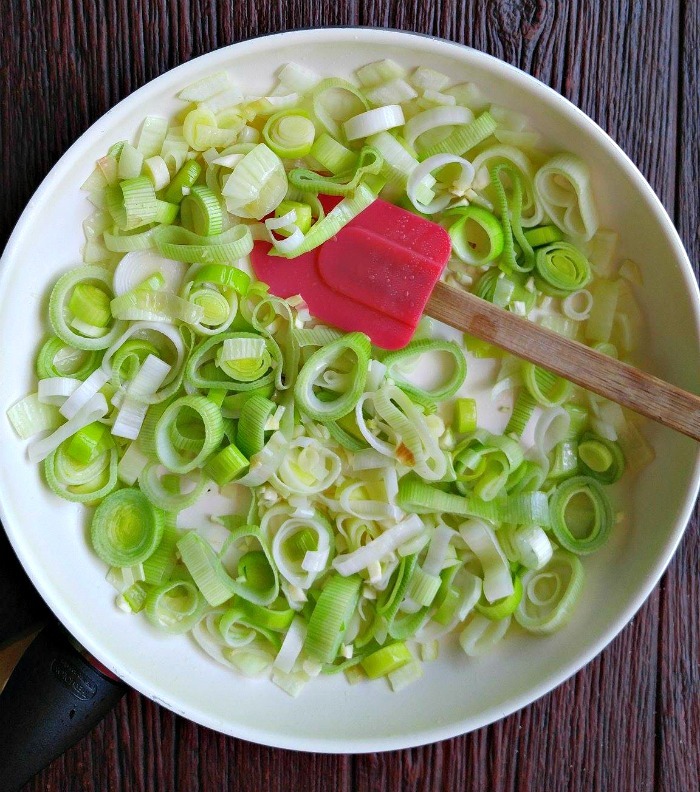 Heat the clarified butter in a non stick frying pan and cook the leeks and onions until soft. Add the garlic and cook another minute. Place the mixture in the bottom of the crock pot and add the chopped broccoli. Stir in the vegetable broth, curry powder,coriander, turmeric and cumin and mix well until all the ingredients are incorporated. Season with sea alt and cracked black pepper. Remove some thicker pieces of the broccoli and set aside. Then use an immersion blender to blend the remaining soup mixture until it is smooth. Return the reserved broccoli pieces to the soup and add the can of coconut milk. Cover and cook another 1/2 hour on low.